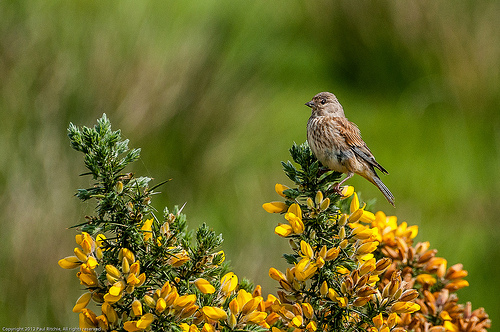 Not only in winter, but also in the breeding season Linnets are found in groups. 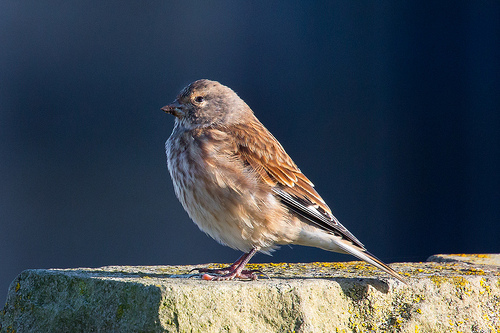 They are recognisable by their red breast and head. In flight they constantly call each other.